It is almost certain that a trip to Krakow will, at least for a first-time visitor, involve visits to the Wieliczka Salt Mine and to Auschwitz-Birkenau. These places merit a full examination of their own and cannot be crammed into a small piece about the city itself. 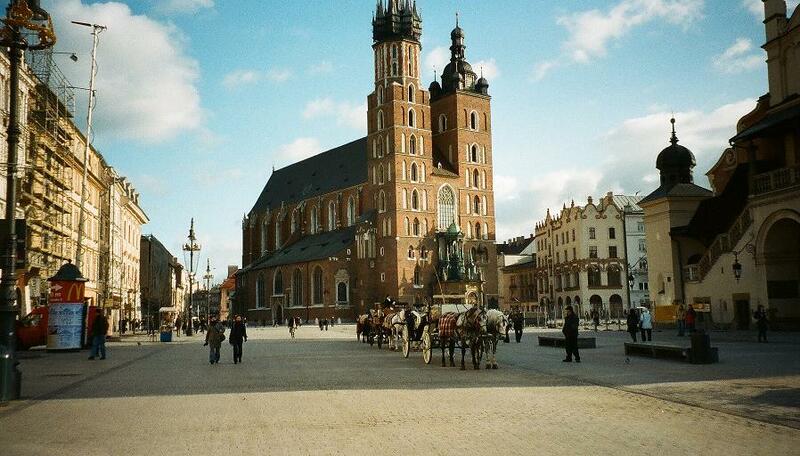 This article will concentrate purely on Krakow. 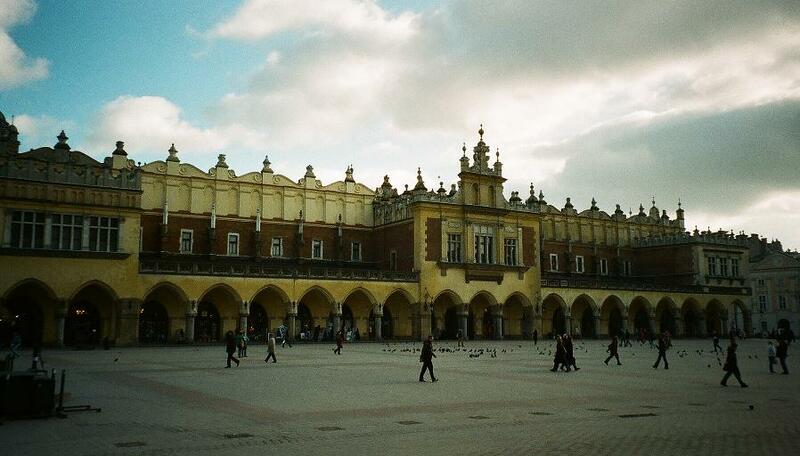 Krakow may be synonymous with the above sites, but there is plenty to see in the city. The centre is enclosed by the horseshoe-shaped Planty Park, which makes it very easy to navigate. A river always helps, both in terms of adding something to the scenic aspects as well as for finding one’s way, and the mighty Wisła runs through Krakow to the south of the city. The Market Square is the city’s heart, full of people and pigeons whatever the time of year or day. The centrepiece is the lovely Renaissance building, the Cloth Hall, still in use as a market, but mainly selling souvenirs these days. Overlooking the square is the giant Gothic brickwork that is St Mary’s Basilica. On the hour mark, look and listen out for the trumpeter at the top of the taller of the two towers. Legend has it that the curtailed call is in memory of the 13th-century trumpeter who was cut short in mid performance by a Tatar arrow as he sounded the alarm. The upper floor of the Cloth Hall houses the Sukiennice Museum, comprising four grandiose rooms of 19th-century Polish art. The museum is part of the National Museum, which in reality is a collection of museums and galleries. The Historical Museum is similarly scattered and includes the splendid Florian Gate, a typically Krakow-style mixture of the Gothic and Baroque rolled into one structure. On the hill at the southern end of Planty Park stands Wawel Castle, which is another collection of buildings that have a slightly patchwork appearance after much destruction and rebuilding through the centuries. The 14th-century Gothic cathedral – itself something of a composite affair – stands out and is the burial place for Polish kings and heroes, including Poland’s greatest poet, Adam Mickiewicz, who is also honoured with a bronze statue in the Market Square. The Royal Chambers features a number of beautifully decorated rooms and halls. Keep an eye on the ceilings, particularly in the ‘Room of the Heads’, where 30 (there used to be a lot more) sculpted and painted faces peer down to keep an eye on proceedings to make sure the royals don’t get above themselves. The ‘Room of the Birds’ is another hall with remarkable decorations, chiefly in the shape of the Renaissance frieze featuring the aforementioned birds. 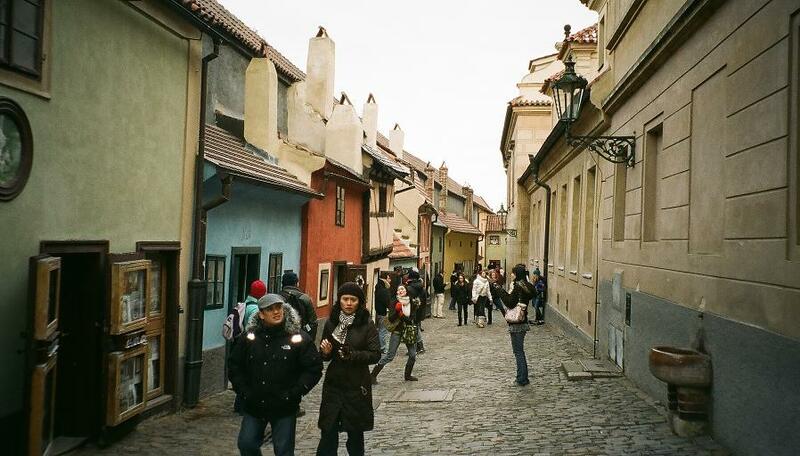 To the south east of the castle lies Kazimierz, the old Jewish Quarter. This area has undergone a major revival in recent years. 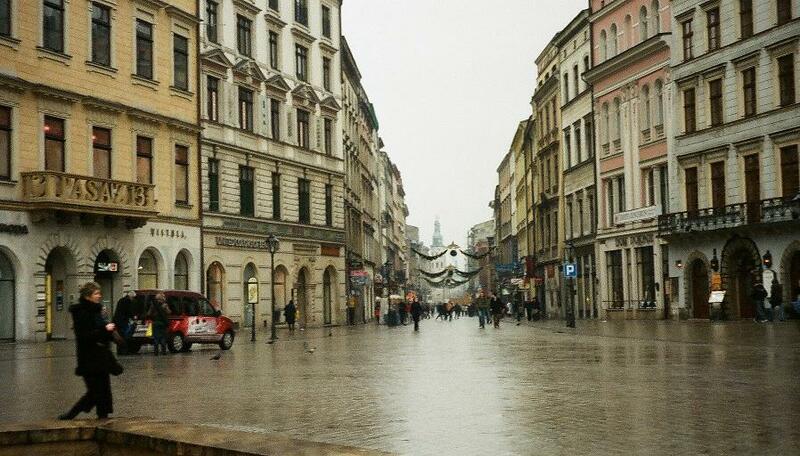 Much of the Steven Spielberg film, Schindler’s List, was filmed here and a little row of shops created for the set has been preserved in tribute. Now, though, there are synagogues, museums, bars, cafés and restaurants of all kinds, including a very decent Indian. 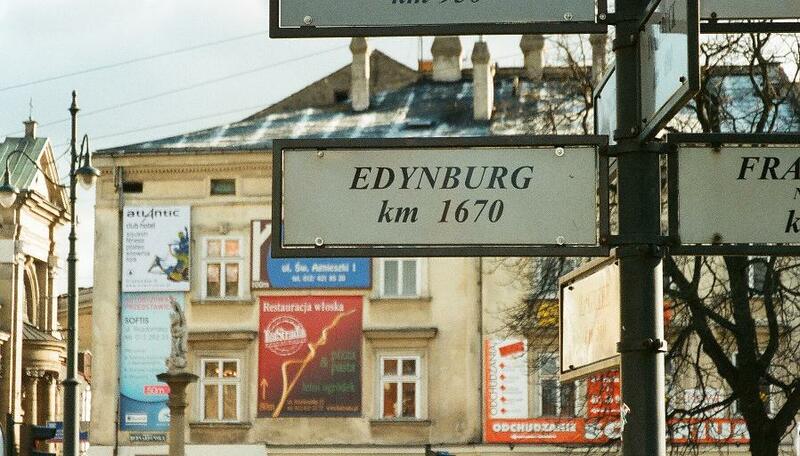 Krakow does not lack for bars and restaurants and vegetarians are well catered for. It’s worth noting that food portions tend to be rather large and that Polish beer is pretty strong, so unless you have an extraordinary constitution, ordering the smallest option on the menu and the lightest beer is the sensible option. A ‘small cheese pie’, for example, is roughly the size of a medium-sized bungalow and may come with enough vegetables to satisfy one’s five-a-day ration in one go. Even Monty Python’s Mr Creosote might be slightly intimidated by the larger versions. For those who can’t manage between meals, there are legions of bagel sellers dotted around the town. A glass of Polish porter is something well worth trying and for the truly adventurous, two glasses. Żywiec Porter is as black as the Ace of Spades and is so thick that you can almost chew it. At 9.5% ABV, it is a beer to sip slowly and has a kick like a mule wearing reinforced Doc Martens. It is, in fact, quite a pleasant drink with dark roasted notes and a hint of chocolate, but it is not a session beer. Poles will argue the vodka is a Polish, rather than Russian, invention and don’t be surprised to find yourself offered a chance to sample some in a restaurant. The vodka may be pure or come in unusual flavours, and it is, of course, impolite to refuse the offering. If you’re visiting in winter, a small glass puts a rapid injection of warmth into the body. One unusual Krakow feature is the corvid commuter run. Early in the morning, vast quantities of rooks fly in from the neighbouring countryside, accompanied by quite a few jackdaw outriders. In the evening, they all head off again. It’s a spectacular sight and while you see plenty of these birds in the parks and gardens, you wonder how the city accommodates such enormous numbers and where they all go. Unfortunately, Krakow seems to have become something of a magnet for stag weekends, so a visit during the week is not a bad move. Still, nobody with any interest in culture (or indeed decent pubs) should find themselves on too much of a collision course. Life is too short to spend hours sitting in a faux-English pub drinking bad beer. 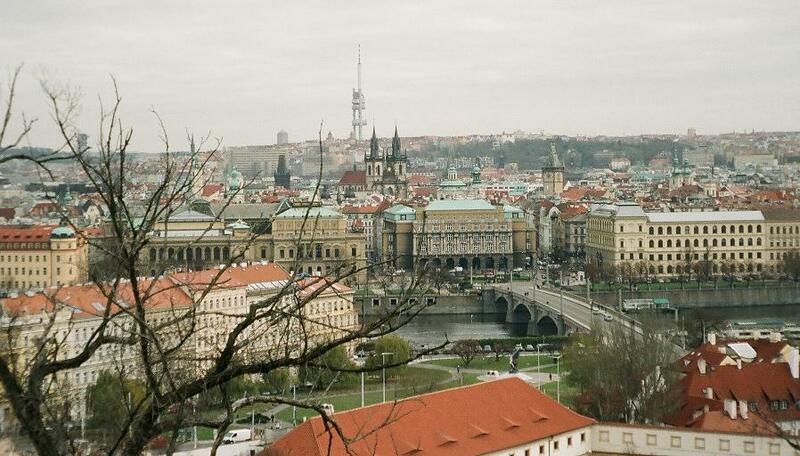 I feel a special affinity for Prague. For the final part of my English degree, I had to compare two texts, one ‘everyday’ and the other ‘literary’. 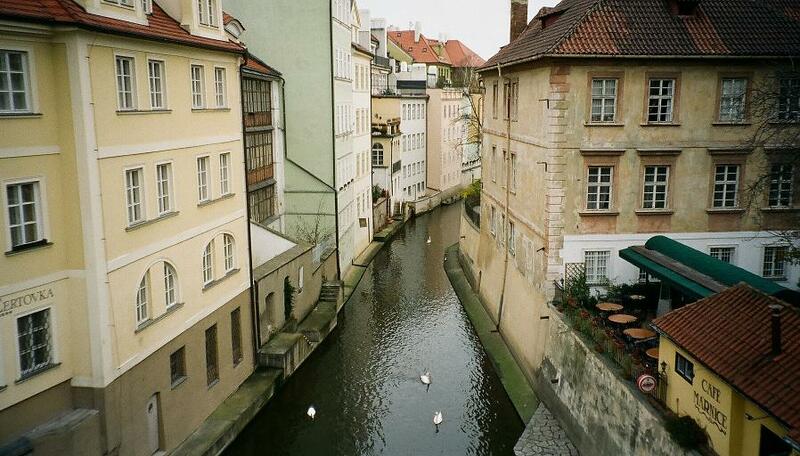 I chose a Prague travel guide and a Milan Kundera novel, Ignorance, for my two extracts. By the time I’d finished, I felt that I knew the city even better than when I’d first visited. Thankfully, my examiner was also convinced that I had some idea of what I was talking about. It’s not only those with an interest in literature who will want to see the house of Franz Kafka and the other houses in Golden Lane. This, aptly, is near the castle and Kafka apparently was influenced by the location when he conceived his wonderful and disturbing novel, The Castle. These days, Golden Lane looks more like the inspiration for a book of tourist postcards, but is no less charming for all that. The castle is Prague’s most-visited attraction and for good reason. The magnificently Gothic St Vitus Cathedral, more redolent of Ann Radcliffe and Horace Walpole than Kafka, is the centrepiece, with its chapel dedicated to the legendary king and saint Wenceslas. Prague Castle’s art gallery is well worth a visit and, thankfully, is a great deal easier to gain access to than Kafka’s fictional one. Another gloriously Gothic building is the Old Town bridge tower at the end of another famous Prague sight, Charles Bridge. There is a break from the Gothic as you cross the bridge, with 30 Baroque statues of various saints. Like the castle, the bridge is a tourist magnet, but you cannot visit Prague and not be impressed. To get away from the tourist rush, a hike up the hill to Letná Park can offer both a bit of peace and a splendid view over the river. It will also bring you face to face with the giant metronome that overlooks the city. It’s not entirely clear what value the metronome adds to proceedings, but it’s no more pointless than the statue of Stalin that it replaced and at least it’s functional. On warmer days, you can have a few jars of Gambrinus and enjoy the views. 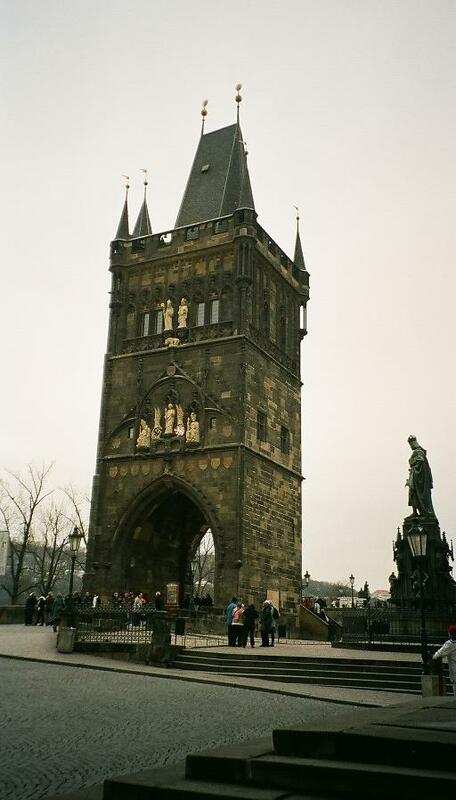 You can never have enough Gothic, certainly in Prague, and the Powder Gate or Tower is another gem of the genre. Even better is the building attached to it, the Municipal House, which functions as a concert venue and is a truly spectacular piece of Art Nouveau. It was built in the early 20th century and it’s worth wandering into the café just to enjoy the décor and surroundings. Fans of Art Nouveau should also have a look at the main railway station, particularly the old booking hall and its ornate domed roof. There are also a few commercial buildings in this style and you can find yourself in the unusual position of staring at the offices of an insurance company. One of the Baroque buildings is the Antonín Dvořák Museum in the New Town. 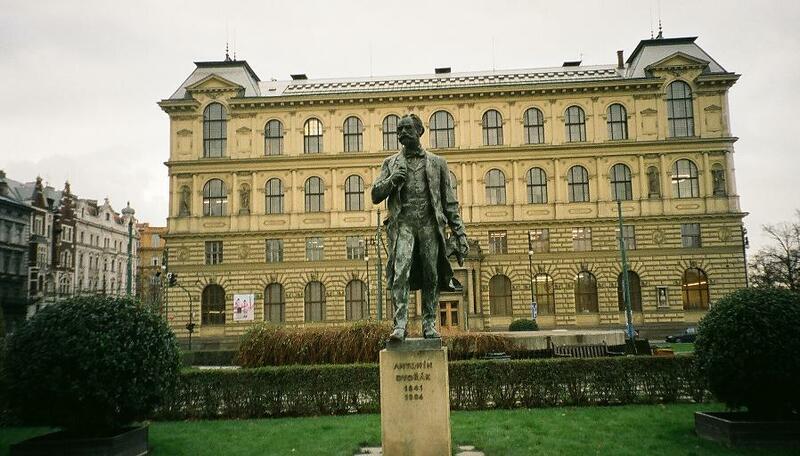 The composer didn’t actually live there, but the building houses a whole range of Dvořák memorabilia, including photos, manuscripts and instruments. It is also a venue for regularly-held classical concerts. The Vltava River has several islands, one of which is Slovanský Island, otherwise know as Žofín. It’s the only one of the islands with a park and a nice place to sit around and watch activity on the river. The trees harbour a goodly population of birds and Treecreepers and Great Spotted Woodpeckers were scampering about on the trunks. The island is a genuine mini wilderness in the centre of one of Europe’s great capital cities. The Czech Republic has a long history of brewing. There is a mistaken belief among many, particularly in Britain, that just about all beers in mainland Europe are pale lagers. Some re-education is clearly needed on this important subject and beer-loving visitors to Prague should try Kozel Černý and Krušovice Černé, two dark beers of different character but similar strength. Both can be drunk as session beers, as they are a thoroughly sensible 3.8% ABV. For a beer to finish on late in the evening (or if you are a complete headbanger), there’s Master Dark, a 7% ABV beer that is served in smaller glasses, a sensible precaution. It’s a bitter-sweet beer that is not too dissimilar to a vigorous porter. A lot of Czech breweries are now owned, sadly, by big international conglomerates. There is salvation, though, as there are a few places where beer is brewed by local, independent brewers. Try, for example, Klášterní Pivovar Strahov, not far from the castle and where you can try four or five different beers. Public transport is cheap and efficient. One thing worth noting is that getting from the centre of Prague to the airport will involve a metro journey followed by a bus ride, but the cost is a tiny fraction of a taxi fare. For the airport, take the green metro line to its most northerly station, Dejvická, and then catch a 119 bus outside. A visit late in the year is not a bad idea, as there are fewer tourists and travel and accommodation can be cheaper. Avoiding weekends also avoids the excesses of the stag party brigade and there is always the prospect of a warming bowl of garlic soup to keep out the chill. That said, there is never a bad time to visit one of the loveliest cities in Europe. For atheists, we go to a surprisingly large number of churches. This, admittedly, is in search of art and décor rather than any form of spiritual comfort, and Orthodox churches tend to have more bling than a successful hip-hop star could accumulate in a lifetime. 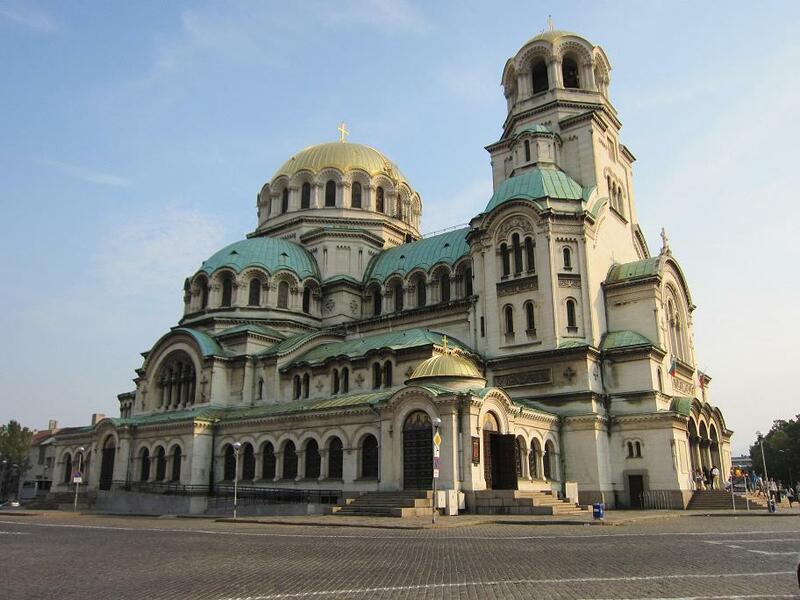 When it comes to showpiece churches, the Alexander Nevsky Cathedral takes some beating. Built in the 19th century, it is a tribute to Byzantine style and can apparently accommodate 10,000 people. The multitude of domes is topped by a vast golden one and approaching the church from the small park behind the cathedral produces even more of a ‘wow factor’ than seeing the place from the front because the whole thing rises into view as you climb the steps, rather than approaching on the flat. At the opposite end of the scale is the 4th century, Roman built, St George Rotunda, Eastern Europe’s oldest Orthodox church. This much smaller church is not without its fine art, however, boasting ancient frescos from the 10th century. The 6th century St Sofia church, near the Nevsky, seems positively modern by comparison. The outside appearance may be more basic, but the interior contains a floor with stunning flora and fauna themed mosaics. Behind Nevsky Cathedral is a splendid neoclassical building that houses the National Gallery for Foreign Art. It holds a wonderfully diverse collection; there is a vast range of European art from the 15th to 20th century, but also – and unusually – a substantial display of Asian and African art. There is a small admission charge (around three euros at the last count), making the gallery outstandingly good value. Also well worth a visit is the National Archaeological Museum, housed in a former Ottoman mosque. The collection is impressively large and impressively laid out, with helpful displays and information in English. The museum contains the extraordinary Valchitran gold treasure, a collection of Thracian jugs and plates believed to date from the 12th century BC. There was also a very good collection of Byzantine culture and art, though this appeared to be a temporary exhibition. Entry was a little more expensive than the art gallery, but the amount on offer was well worth five euros or so. Architecture in the city comes in an array of styles, though the emphasis is on the neo-classical. One of the more unusual subsets of this genre is Socialist Classicism, epitomised by the former Communist Party headquarters. This rather overblown, though far from awful, building is now used as Government offices. Much more pleasing to the eye is the Central Market Hall, a fantastic mix of neo-Renaissance and neo-Baroque, with a touch of neo-Byzantine lobbed in for extra flavour. It’s a gloriously ornate affair and well worth a look inside as well as out. The ground floor sells pretty much any kind of food you can think of, and is cheaper – and a good deal more enjoyable – than shopping in a soulless supermarket. 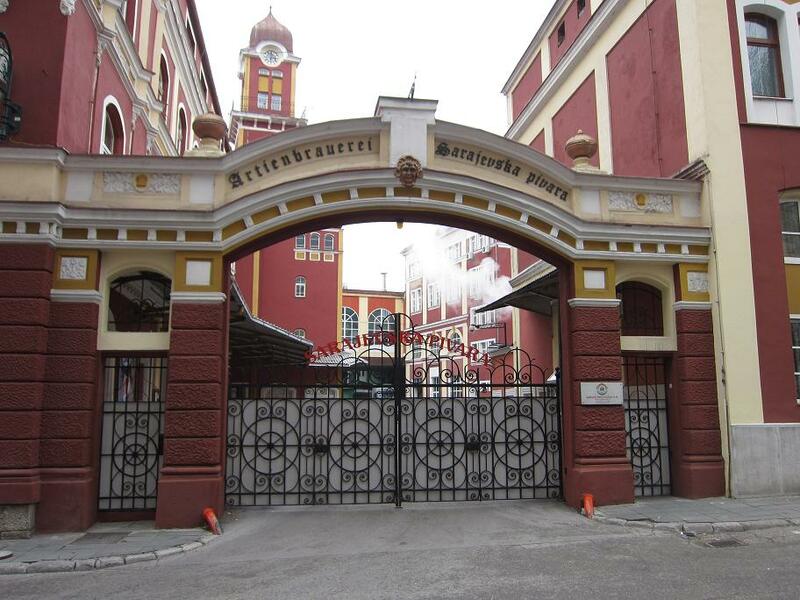 Across the road, you cannot miss the equally splendid Mineral Baths, neo-Byzantine in style and built at a similar time to the Market Hall, National Theatre, Military Club and several other public buildings. The first decade of the 20th century truly marked a golden age for architecture and design in Sofia. 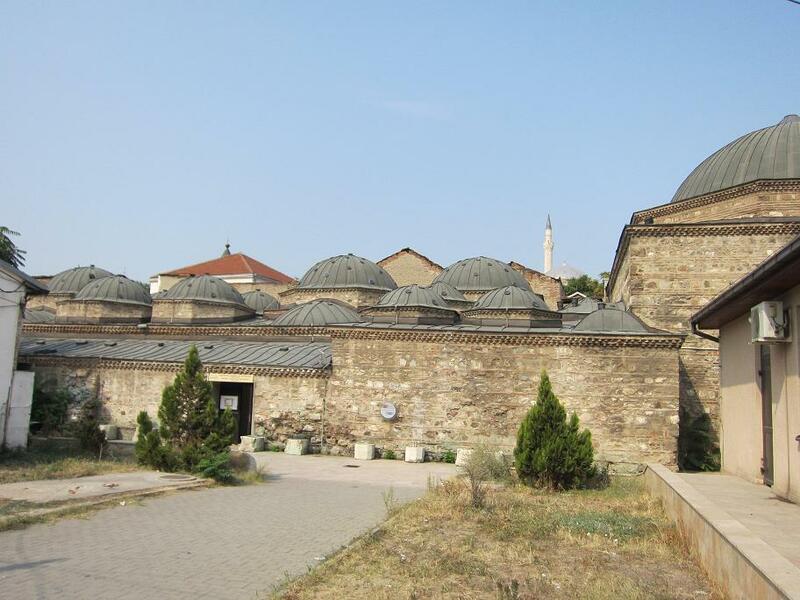 Next to the baths is Sofia’s only functioning mosque, Banya Bashi, a typically Ottoman affair from the 16th century. It’s possible to visit, outside prayer times, and the interior is certainly worth viewing, notably for the beautifully restored domed ceiling. Around the bath and mosque, there is a honey market, and it’s quite surprising to a non-expert just how many different types of honey you can find. Wandering around Sofia, there’s every chance you’ll encounter someone playing bagpipes. There are a lot more varieties of this instrument than most people realise and the Balkans remains a stronghold. The version you’re likely to see in Bulgaria is the gaida, or its larger cousin, kaba gaida, a low-pitched instrument played by mouth rather than elbow. Sofia isn’t the cheapest place in the Balkans, but by Western standards, it’s far from expensive. Even at the Grand Café, part of the five-star Grand Hotel, it’s possible to have a meal and a couple of drinks without looking anxiously into the wallet. It’s also a nice place to linger for a while, especially in the garden on a pleasant day, with a view of the delightful National Theatre across the small City Park. 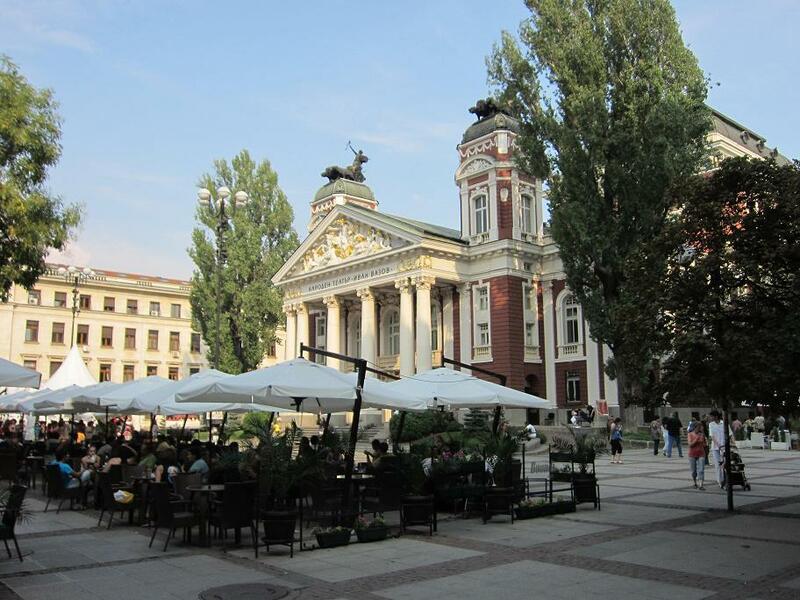 While Sofia may not be the most scenic of Eastern Europe’s capitals, there is plenty to see. There is an intriguing mix of architectural styles – often in a single building – and there is much of interest to the historian. The centre is relatively small and packs in quite a selection of sights for the visitor. It’s not especially expensive and there is a decent public transport system, though it’s worth noting that while there is an airport bus, it does not, bizarrely, serve the central bus station. Even so, taxis are not expensive and a trip from the city centre to the airport shouldn’t cost much more than five or six euros. The city has a good range of bars and restaurants and there isn’t really a bad time to visit, as even in the winter, a snow-covered Nevsky Cathedral makes for a lovely photo. It may have been late September, but the temperature was pushing 40°C. On the south side of the Vardar River and around Macedonia Square, it wasn’t the only thing that was over the top. Skopje’s statues are not understated and, of course, it is Alexander the Great that dominates proceedings. A non-too-subtle 22-metre high bronze figure mounted on a horse on top of a white marble plinth is hard to miss. By the river, more statues and buildings, mainly in neo-classical style, continue to be erected as part of a project started in 2010. The project divides opinion, but, like the statues, is impossible to ignore. While some work takes place on the northern shore – indeed, Philip of Macedon is given similar treatment to his son on the opposite side – most of the activity takes place on the south side. The northern part is the old, Ottoman town and has a completely separate character to its rather flashy southern neighbour. The result is a curious contrast that gives the visitor the feeling that they are staying in two different places. Macedonia Square is the city’s hub. All kinds of events go on here, but even when there’s nothing happening, it’s still full of people just sitting, talking and wandering. With its ever-increasing band of statues and a fountain that doubles as a light show, the square is never going to suffer from being overlooked. Another gloriously over-the-top feature is the Porta Macedonia, a triumphal arch built to celebrate 20 years of independence. It is, essentially, an Arc de Triomphe lookalike in neoclassical style and is part of the ‘Skopje 2014’ project that has spawned all of these buildings and statues. Not surprisingly, some take the view that the cost involved in what they regard as a vanity project cannot be justified. 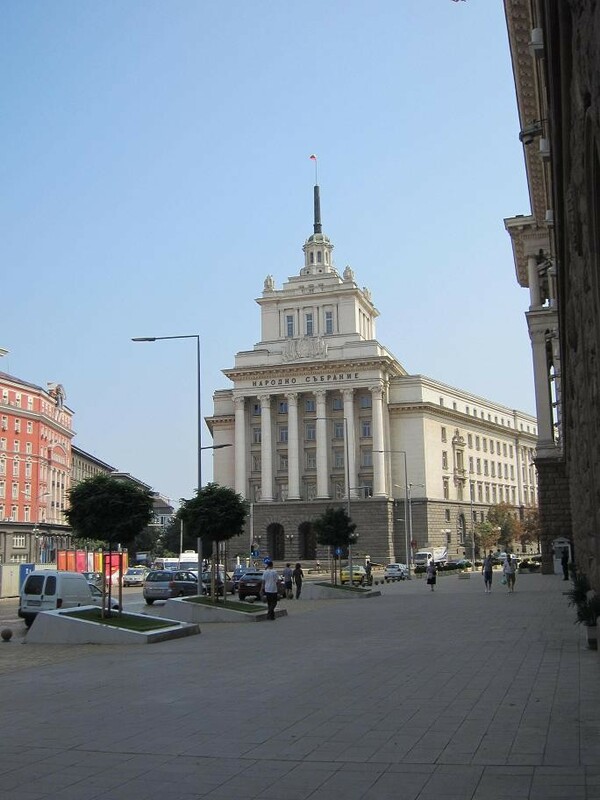 For a glimpse of some truly ghastly, and slightly older, architecture, Skopje’s main post office takes some beating. The base is a vast Soviet-style concrete block, on top of which a cluster of slightly surreal metallic limbs has been added. The effect is to make the whole thing look rather like a giant space-age insect that is unable to get off its back. A walk by the river brings some rather more pleasant aspects. 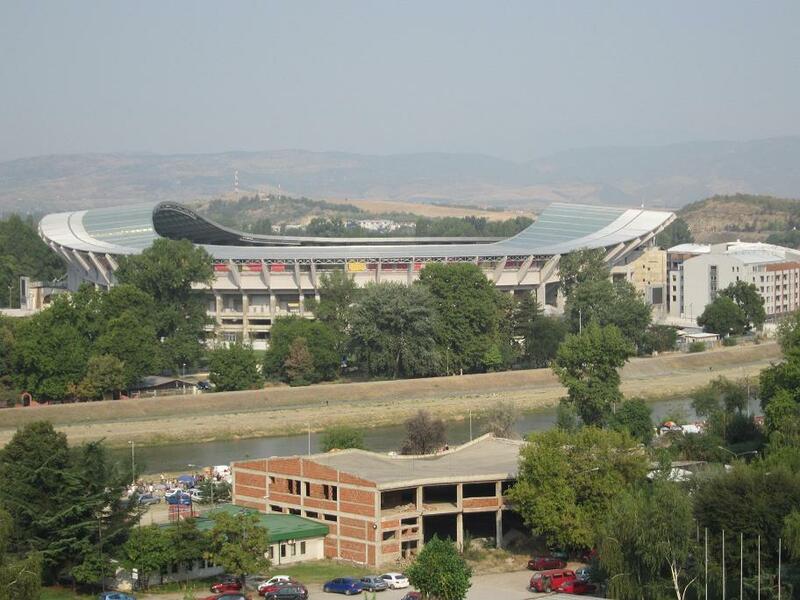 Strolling west from the city centre, you pass the multi-purpose Philip II of Macedonia Stadium, shared by the football clubs FK Vardar and FK Rabotnički, as well as being the venue for the national team’s home games. On a warm day, a stroll back through the shaded park adjacent to the stadium is pleasant and even a casual birdwatcher should be able to spot quite a few species, along with the odd water vole. There are also plenty of places to stop for a coffee or cold drink. On the northern side of the river, everything is rather different. The Old Bazaar is determinedly Ottoman and mosques and hamams give the area more than a hint of Istanbul. Look out for the quaint little art gallery situated in the old baths. 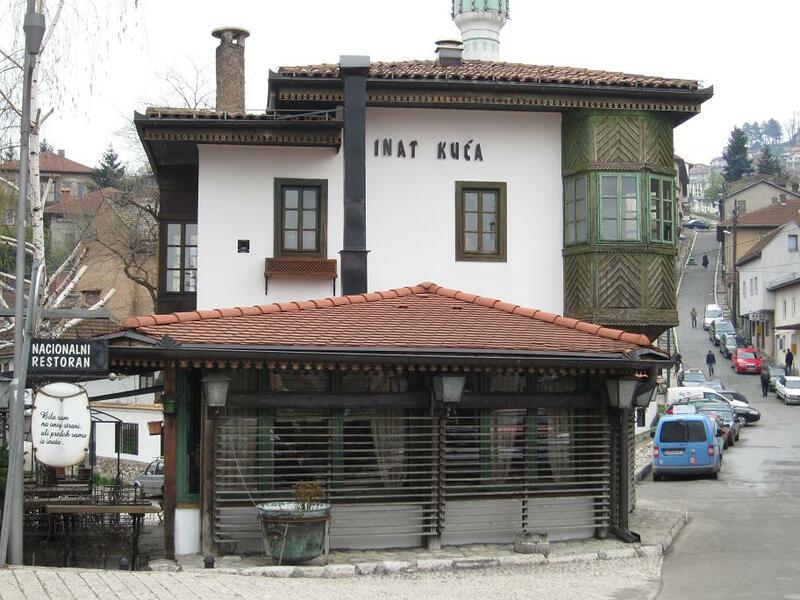 The ubiquitous Skenderbeg, celebrated in Tirana and Pristina, can be found here. Skopje also celebrates another famous ethnic Albanian, Anjezë Gonxhe Bojaxhiu, better known as Mother Teresa, who was a native of the city. Near the Old Bazaar is the strangely understated National Museum of Macedonia. It does not seem to feature strongly in maps or guide books and there aren’t exactly lots of signposts to it, but it’s well worth a visit. The museum is spread across two buildings and is more of an ethnographical or folk museum, but is nonetheless a great deal more interesting than its low profile would suggest. The few parts of the old town that are not Ottoman are Byzantine. This is most obviously manifested in the shape of Kale Fortress, built during the reign of the inveterate builder Justinian. It’s the highest point in the city and offers a splendid view across the river. Nearby is the Museum of Contemporary Art, worth a visit at the same time to spare the aching legs a little. 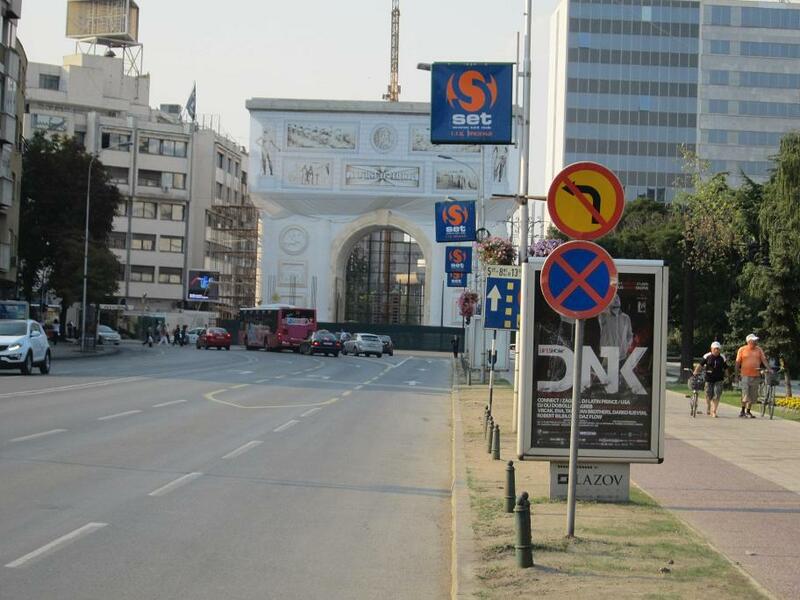 Nothing is especially expensive in Skopje and as usual, the cheapest places are away from the main tourist areas. Shoppers should have no trouble finding a bargain in the Old Town. Even around Macedonia Square, the restaurants and bars aren’t too pricy. The local beer is Skopsko, a slightly vigorous 4.9% ABV for a session, but more than welcome at the end of a hot day. There are also plenty of places selling very good (and very cheap) ice cream to keep the heat at bay for a while. The ‘Skopje 2014’ project might not be to everyone’s taste and indeed, much of it does seem rather overblown, but there is much to enjoy. 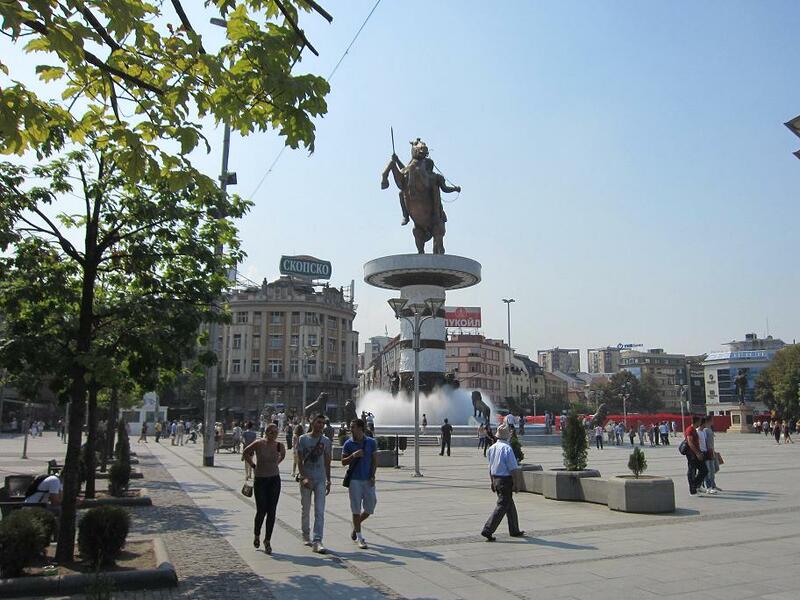 Skopje is cheap, has a good climate and does not get besieged by tourists. There is plenty to see and do, and a stroll down by the river on a sunny day is just the thing to take your mind off the relentless grey drizzle you just know will be waiting for you when you get home. A short city break is just fine, especially if you’re on the road to other places. It’s only a couple of hours on the (ridiculously cheap) bus to Skopje from here, but there’s no reason to overlook Pristina completely. It’s a city of great significance and does not deserve to be ignored. There are many cities that do not have immediate aesthetic appeal, but as with most of them, there is plenty of interest for the inquisitive traveller. It doesn’t help that the two rivers were covered over in the 1950s and with neither a river nor main square, the city lacks a focal point. There is a central area (Qendra), which is comprised largely of shops, cafes and restaurants. This is perhaps the best place to use as a point for orientation, as street signs are a rarity. The city is, however, not so large that you’re likely to become hopelessly lost. 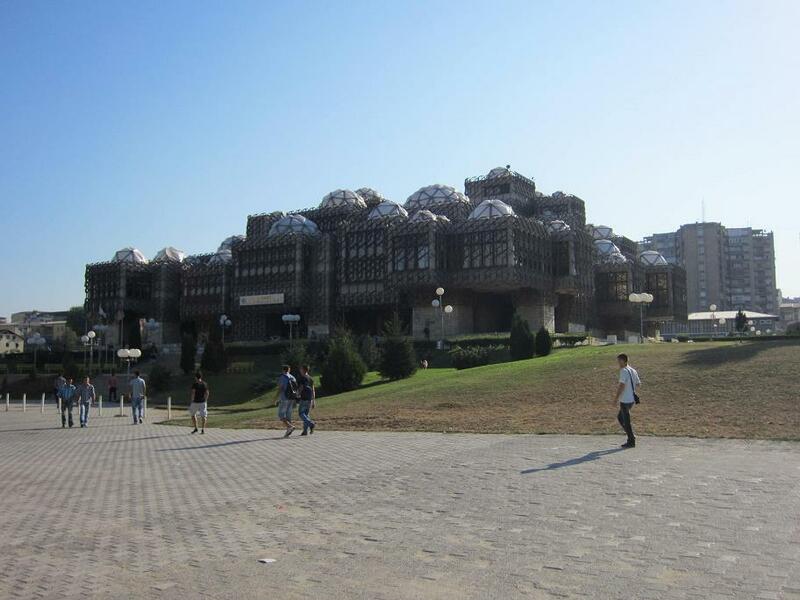 Something that can’t be missed – in any sense – is the University of Pristina library. This bizarre construction looks like it has been assembled from a combined Meccano and Lego set of giant proportions before being wrapped in a huge fishing net and having oversized, deflated footballs embedded in its roof. It’s precisely because of its oddness that it stands out so markedly from the drab concrete tower blocks in the surrounding area. Near the library is the folly that is the Christ the Saviour Cathedral, a huge and incomplete Serbian Orthodox edifice. Started in 1995, it remained unfinished because of the war and sits brooding behind barbed wire and weeds, its future uncertain. 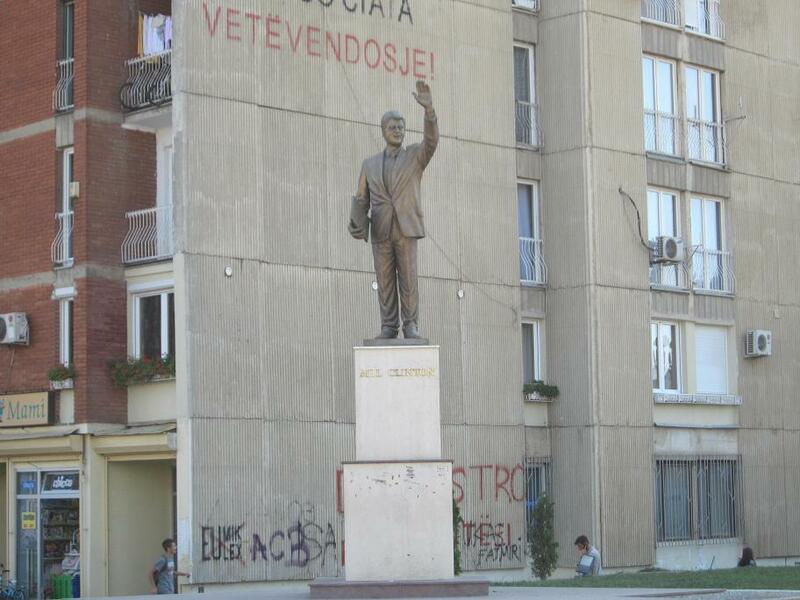 There are reminders of Pristina’s Albanian heritage in statues of Skanderbeg and Mother Teresa. Indeed, there are times when you might be strolling around Tirana, though the latter’s architecture tends more towards Chinese Communist. Tirana also retains a little more of its Ottoman past. The Kosovo Museum is low on exhibits, but strong on emotion. Many of the archaeological artifacts that were housed in the museum were taken to Belgrade in 1998. The part of the museum dedicated to more recent times naturally focuses on the war, told largely through a vast collection of international newspapers. It is not an uplifting experience and nor is it meant to be. This is strictly uneasy viewing. A deep breath and a cup of strong coffee is required. 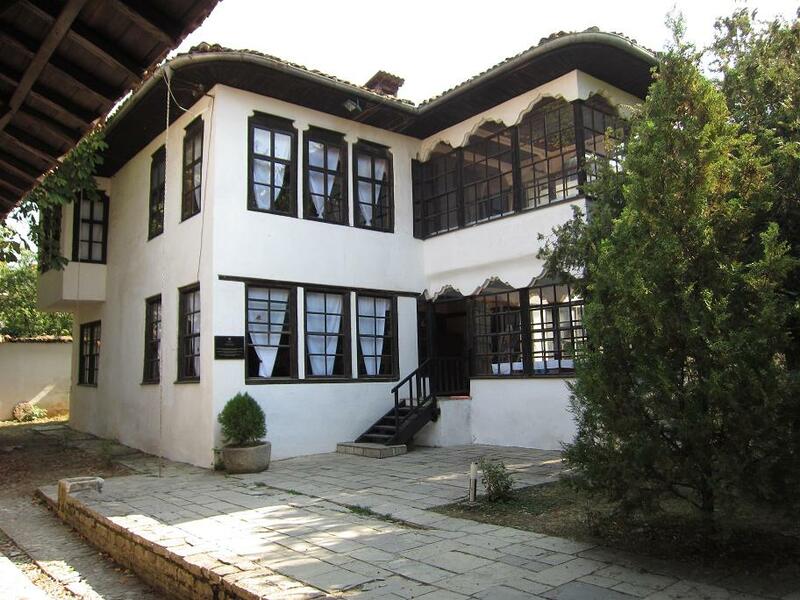 A more cheering hour can be passed at the Ethnological Museum, which is housed in a small complex of delightful 18th-century houses. The museum shows how traditional houses were laid out and decorated and part of its appeal is finding something of beauty in a city where grey concrete is the norm. Pristina has a decent array of restaurants and a pleasant one, right in the centre, is ‘Home’, which displays an encouraging sign that nothing is pre-cooked. The service is very good and very friendly and you can have a good meal and a few beers for ten euros. You may well get a complimentary glass of that staple Balkan drink, rakija, too. The local beer is Peja, a Pilsener-style affair that is quite light at 4.2% ABV and is decidedly refreshing on a hot day. Wine is produced locally and the industry is now resurgent after the war, with exports increasing. There is a greater diversity of restaurants than might be expected and it’s possible to sample Italian, Chinese, Indian and Mexico food as well as the more local dishes. Walking around the city should guarantee that you bump into Bill Clinton. Well, you probably won’t, but you are likely to see a statue of him. The man himself was present at the unveiling of the statue in 2009. The way to Bill Clinton Boulevard is guided by the large, red-brick Nënë Tereza (Mother Teresa) Cathedral, opened during the following year. 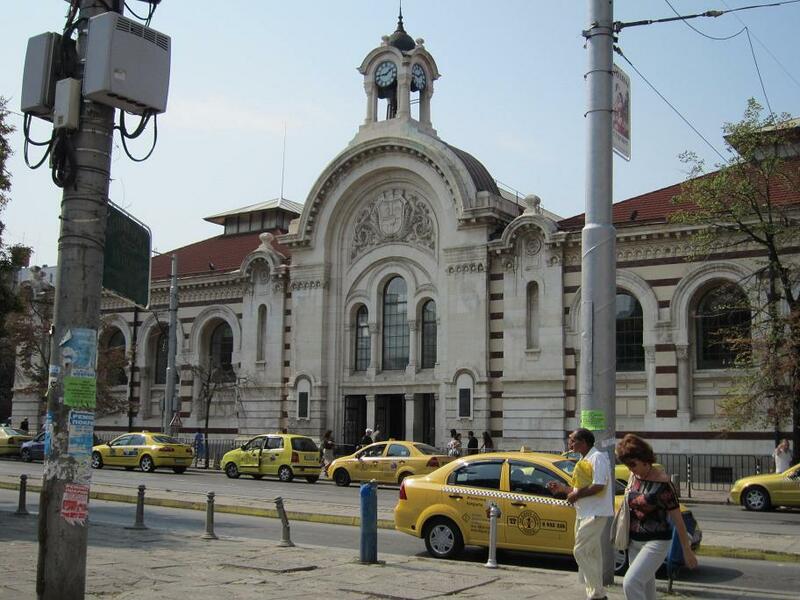 Pristina probably has the smallest railway station of any European capital city. The entire place could probably be covered by a medium-sized tablecloth and looks rather like a crumbling and disused rural station. 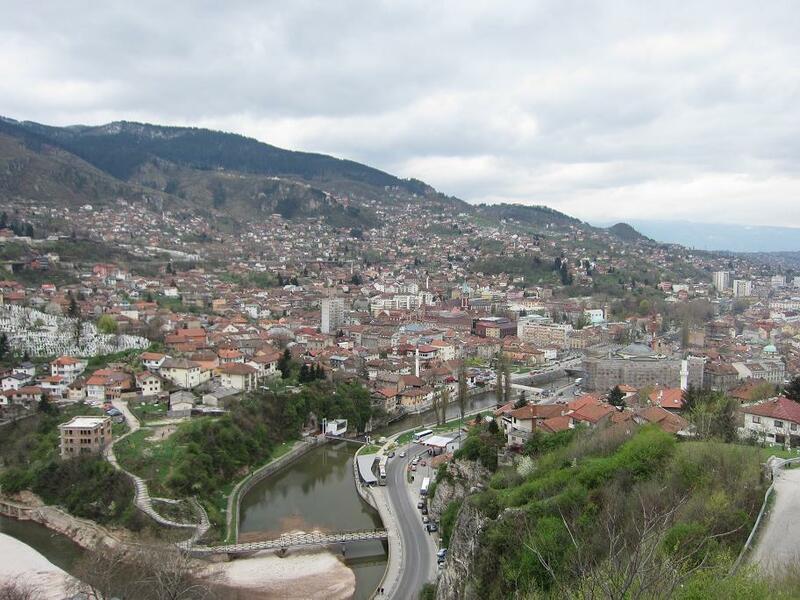 There are only two services: one running to Pejë, home of the brewery, to the west and the other to the Macedonian capital, Skopje, to the south-east. Buses are quicker, but those with an enthusiasm for railways (and plenty of time) might prefer to experience the train journey. One surprise was finding that it is possible to buy postcards. Pristina, you’d imagine, does not do a huge trade in tourists or tourist items. Curiously, the postcards come with envelopes, which poses an obvious question. Hopefully, the answer is not in any way sinister. 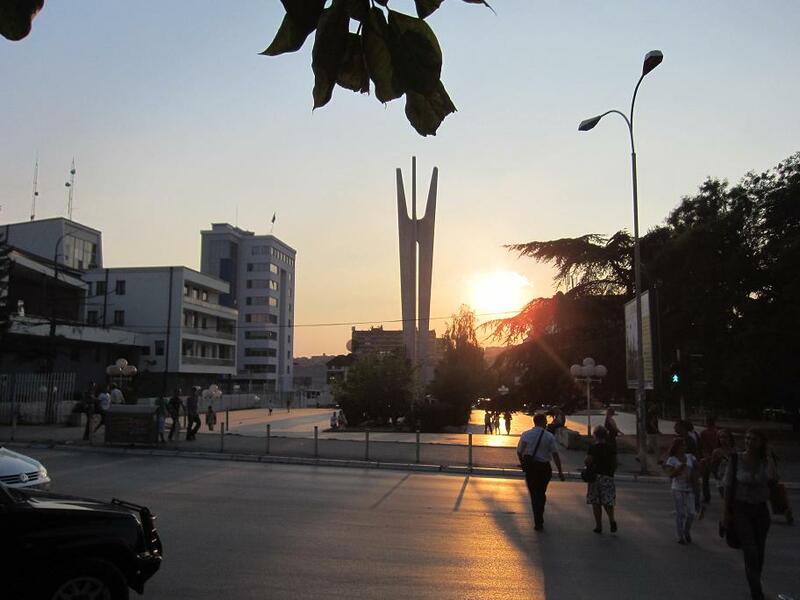 It may not be the loveliest city, but there is a strange underlying charm to Pristina, helped by the friendly and accommodating nature of its people, that makes it a place worth visiting. A city that has no river always seems to be lacking something. There are, of course, some perfectly fine cities without a natural waterway, but there is a lot to be said for strolling through a capital city by the banks of a river. Ljubljana makes sure nobody misses this pleasure by having three. The Ljubljanica, Gruberjev and Gadaščica all run through the central areas of the city. The centre is based around the Ljubljanica and there are cafes, bars and restaurants alongside it, perfect places to stop for coffee, beer or home made iced tea on a hot summer day. There are many things to like about Ljubljana. It’s a small capital city in a small country, but both country and city manage to pack a lot in. Ljubljana is neat, tidy, stylish, has plenty of green space and just looks nice. It’s a mere two hours from Gatwick and while prices may be a little higher than countries further east, it is cheaper than neighbouring Italy. Ljubljana is, not surprising, Italianate in parts, though it has a wonderful mixture of styles and influences, most of which are good ones. Baroque and Art Nouveau dominate and the hand of the remarkable Jože Plečnik is everywhere. Plečnik was a Slovene architect who had grand plans for his city and not only dreamed them, but implemented them as well. 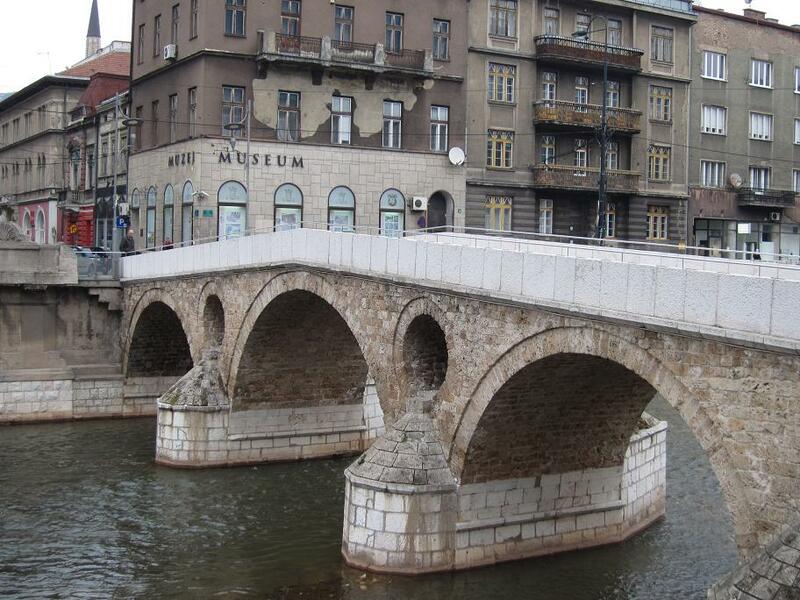 It is almost impossible to walk anywhere in the central part of the city without seeing a Plečnik building or walking across a Plečnik bridge. 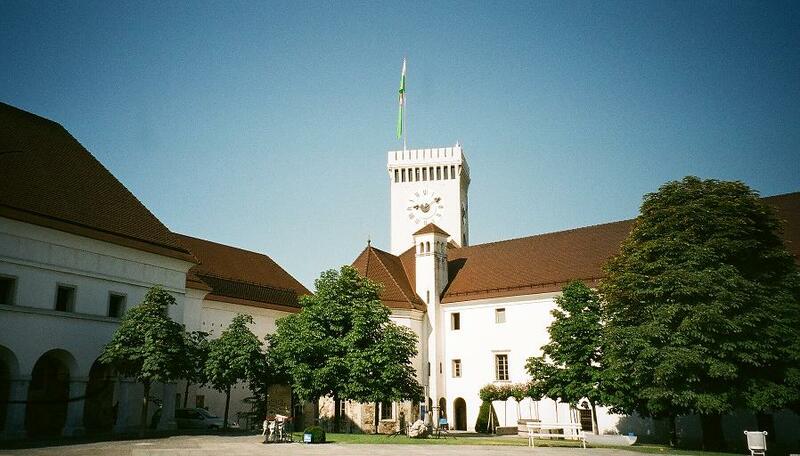 One of Plečnik’s masterpieces is the Central Market, a magnificent colonnaded affair beside the Ljubljanica. There are permanent shops in the covered area and also open-air stalls. It’s fascinating to simply stroll around, but difficult not to buy something, as there’s too much tempting fruit on offer, most of it from local allotments and as fresh as it’s possible to get. The castle dominates the city and can be seen from everywhere. There is a choice of walking or taking a funicular to the top of the hill. Walking is probably a better option outside of the summer months. In summer, you’ll probably find yourself sweating enough without climbing hills, though there is a café at the castle where you can cool off under bursts of dry ice, though mercifully without having to listen to prog-rock as you do. There is also a delightful park that offers both shaded, tree-lined walks and wonderful views across the city. For a small city, Ljubljana has an impressive number of bookshops, which always seems reassuringly civilised. There is no shortage of museums and galleries; the Museum of Modern History and the National Gallery are particularly impressive. For something a bit different, try the Railway Museum, a charmingly ramshackle affair that nonetheless holds a fine array of mighty engines from the Austro-Hungarian era. Even non-rail buffs should find something interesting and there is a little amusement to be had in the challenge of finding the entrance to the museum. One oddity to look out for is Trg Francoske Revolucije (French Revolution Square), where you’ll find the only statue of Napoleon outside France. This, almost inevitably, is another work of the ubiquitous Plečnik. Ljubljana was the capital of Napoleon’s Illyrian Provinces, briefly under French control in the early 19th century, before returning to the Austrian Empire. Like other aspects of Slovenia, food shows a mixture of influences. There is a distinct Italian and Mediterranean feel to many restaurants, while cafés betray a sense of the Viennese with tempting strudels and rich cakes. While Slovenes might like to distance themselves from the other former Yugoslav states, the omnipresence of the quintessentially Slavic burek suggests otherwise. On the short stroll to the railway station from our hotel, we encountered Kratochwill, a combined restaurant, bar and brewery. This kind of thing demands immediate attention and several hours later, the verdict was one of conclusive satisfaction. The svetlo (light) and temno (dark) beers are both 4.2%, which is low enough to give them a good test. You can also have a mešano (mixed), half light and half dark, which produces a more pleasing result than you’d imagine. The bar caters for all options. If you just want a drink, that’s no problem. At the other end of the scale, you can have a full meal. If you fancy a snack, a suggestion is garlic bread, which is Italian-style thin pizza bread covered in garlic and is guaranteed to help the beer go down very well. Where do the dragons come in? Pretty much everywhere, actually. 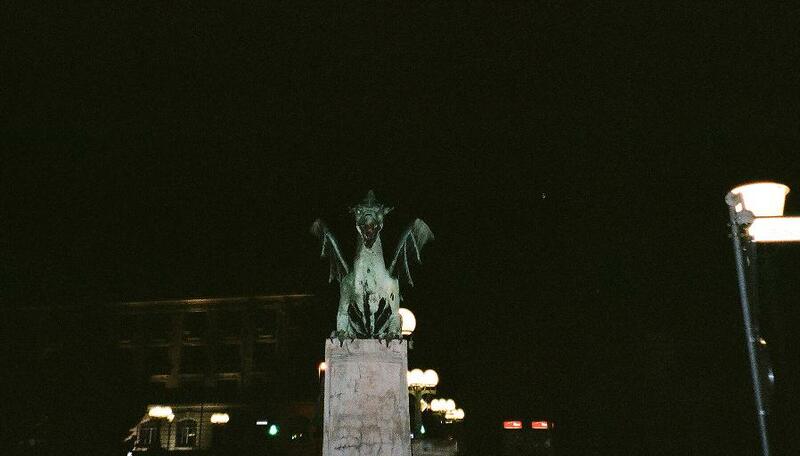 A dragon features on the city’s coat of arms and the oldest bridge on the Ljubljanica is Zmaski Most (Dragon Bridge), guarded by four large green dragons. There are various stories of equally variable believability associated with the dragon. However, as the patron saint of the chapel at the castle is St George, this rather prosaic link appears the most likely. One thing that can be said with absolute certainty is that Ljubljana is a delightful place to visit at any time of year. 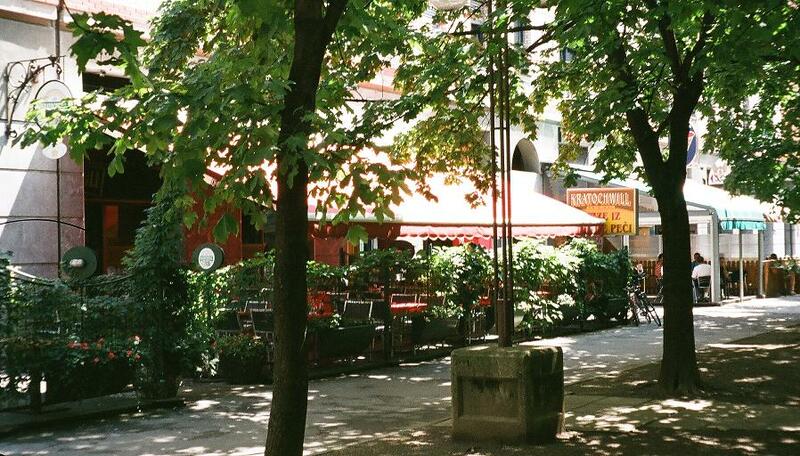 In the summer, strolling by the river – any of them – and stopping for an iced tea or ice cream is pure pleasure. Slightly later in the year, the days are still warm without the heat or humidity of mid-summer. Even in winter, though it might be cold, there are bright, sunny days when the snow gleams in the sunshine and a glass of mulled wine will help to dispel the chill. 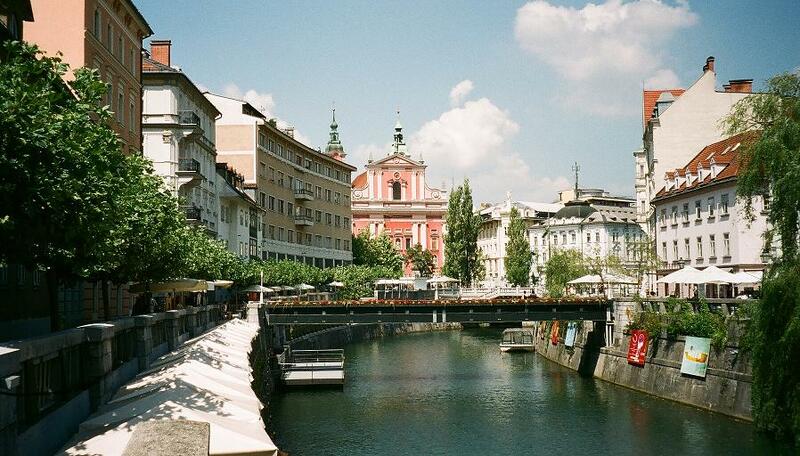 Ljubljana may be one of Europe’s smaller capital cities, but it is assuredly one of the most attractive. Thus is Bucharest. The great part of the blame for the fragmentation of the city lies with Nicolae Ceaucescu, the Romanian president for 22 years. Ceaucescu it was who commissioned the giant palace that he was never to see completed, an edifice so huge that much of Bucharest’s old centre had to be destroyed. It wasn’t just the palace, but the other stuff that went with it; the enormous grounds, the luxury flats near it, built for the party apparatchiks and the wide, tree-lined boulevard that leads to it. The whole area takes up a huge amount of space and churches, shops, houses and even a football stadium and monastery were razed to make room for it all. The palace, despite its enormity, is not architecturally appalling, but the hideousness is more in what it stood for. 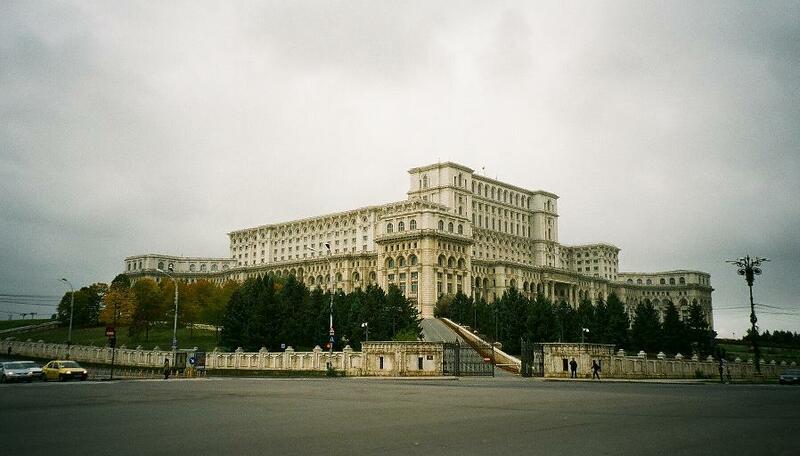 This was megalomania at its most extreme and Bucharest continues to suffer from the dictator’s giant ego. The result is that Bucharest is not the most picturesque of cities, but there is still plenty to see, although you might have to hunt around a bit. One thing to be aware of is that Bucharest does not expect tourists and as such, finding anything by way of information locally is not easy. Even fairly straightforward stuff like finding out when the airport bus runs becomes something you need to appoint a project manager for (in fact, the buses are very frequent and cost less than a couple of pounds). This has positives and negatives. The place is not thronged with visitors, so there is not a huge choice of cafes, restaurants and bars. On the other hand, while these may take a little more finding, there are some decent places and they tend to be quite cheap. There’s a small area to the north-west of Unirii Square that is packed with faux Irish pubs, sports bars and similarly unimaginative offerings, but keeping them all in one area at least means it’s easy to avoid them. Something definitely worth trying is Romanian wine, which doesn’t get exported much. It is not expensive, certainly by western standards, and red wine in particular is very good. Food tends towards the meaty – Romanians seem to enjoy large chunks of meat – and don’t be surprised to see all sorts of animal on the menu. One restaurant was serving ‘bear in mustard sauce’, though presumably not the whole bear. Nothing should cost very much, whether it be food and drink or cultural activities. 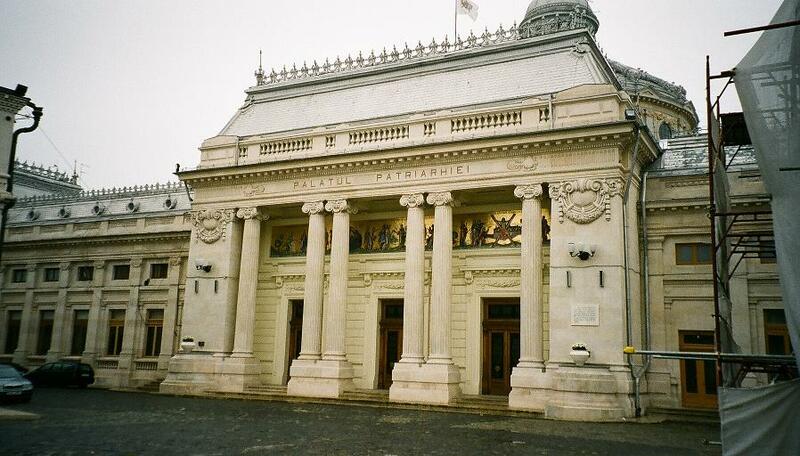 Bucharest is full of theatres, though all productions are in Romanian. 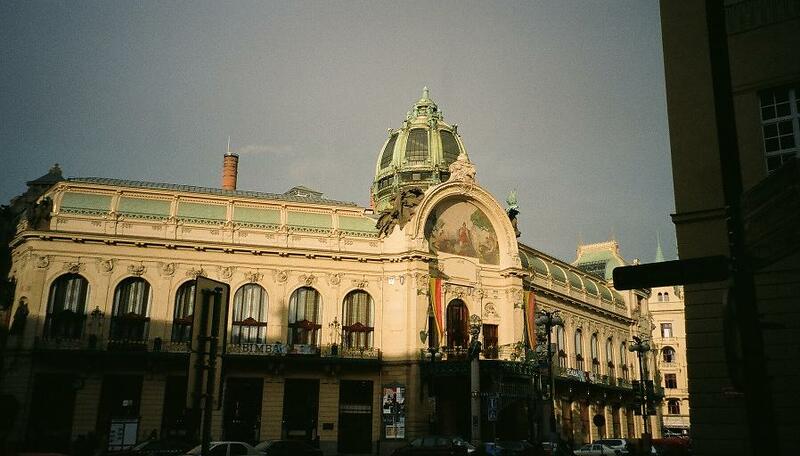 Visitors, therefore, might prefer to visit the National Opera, which performs regularly. Tickets are very cheap, as they are for another favourite Romanian pastime, football. Bucharest has three major clubs, Steaua, Dinamo and Rapid, each with its own stadium. The Steaua versus Dinamo derby might not be the ideal fixture for those of a nervous disposition. Something else guaranteed to make one jittery is the plethora of stray dogs. There are vast numbers in Bucharest and they have organised themselves into feral packs. These are dogs that were pets, but have been abandoned. The authorities claimed that they had not tackled the problem because public opinion was opposed to the destruction of the animals, though if people were so concerned, would they be there at all? It is, though a serious problem and walking past a group of 50 or 60 hungry dogs can certainly be a disconcerting experience. Recently, though, a small child was killed by stray dogs and this appears to have forced the government to do something at last. Certainly, something needs to happen, with reported figures of 65,000 dogs on the streets and more than 10,000 people treated for dog bites in the first eight months of 2013. On a more uplifting note, while Bucharest may not be overloaded with museums, it has some interesting ones. 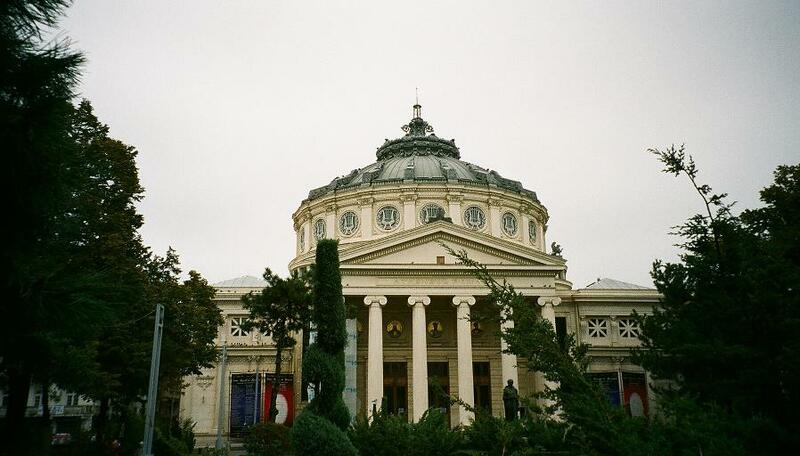 The National Museum of Romanian History is a fine neoclassical building and is also well worth seeing inside. The highlight is a full-scale replica and frieze of Trajan’s Column, depicting the conflict between the Roman Empire under the Emperor Trajan and the Dacians, an early Romanian people, in the early second century. The Peasant Museum is, perhaps, even better. It’s a large museum with thousands of exhibits and it’s also somewhere to buy a genuinely decent souvenir in the museum’s shop. There are regular, usually monthly, craft fairs held in the courtyard. The seemingly innumerable hand-painted Easter eggs catch the eye, but there is a lot more besides. The prices here can be a bit steeper, but the quality of the crafts is a great deal higher than the standard kind of tat sold in the average souvenir shop. It’s almost impossible to visit Romania and not encounter Dracula in some form and indeed, Bucharest has a restaurant called Count Dracula, where a waiter makes intermittent appearances from a coffin. 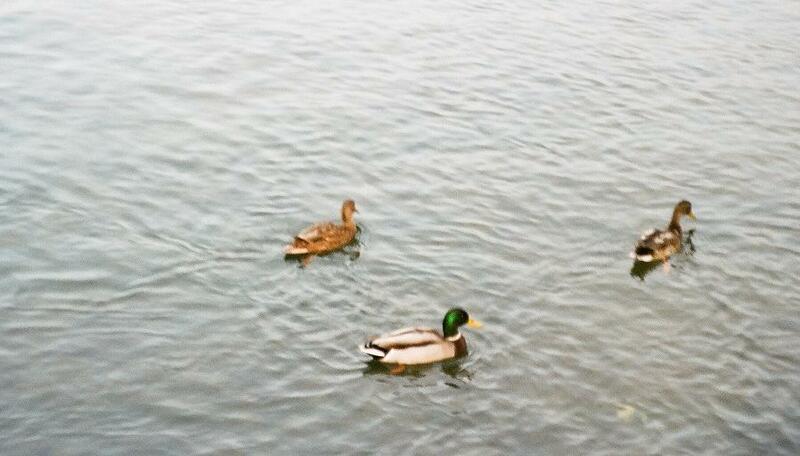 Meanwhile, on the Danube, relatives of Count Duckula paddle along, though they are more interested by the tasty Romanian black bread that is thrown to them than in vampirical ventures. Bucharest might not be high on the wish lists of many tourists and it’s true that the city has been left as something of a patchwork quilt, but there is plenty there if you look for it and that is part of the fun of visiting a place. Now and then, there’s a pleasant surprise waiting.